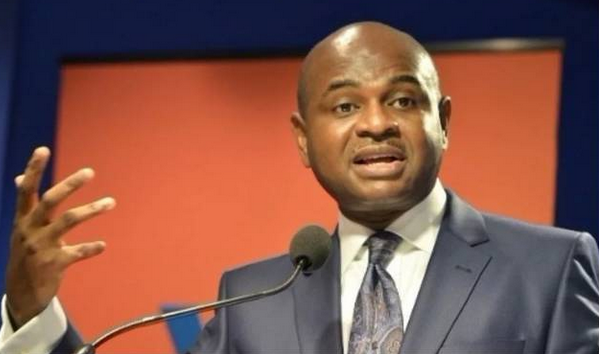 Presidential candidate of the Young Progressives Party (YPP), Kingsley Moghalu, has kicked against the “false narrative” that there are only two candidates for the presidential election. He said it is fake news to portray President Muhammadu Buhari and former Vice-President Atiku Abubakar as the two contenders for the February 16 poll. Moghalu made the remark on Wednesday while speaking at the fake news conference organised by the BBC world service in Abuja. “The perpetuation of the falsehood that the 2019 election is a two-horse race between the APC and PDP is fake news,” he said. “If you talk to Nigerians on the streets as we do as candidates, you will find out that the vast majority of Nigerians are sick and tired of the recycled and old politicians. The former deputy governor of the Central Bank of Nigeria (CBN) said one of his core mandates, if elected, would be economic diversification through technological advancement. “I am going to move Nigeria’s economy away from oil towards innovation. I am going to provide the kind of leadership transformation we need in this country,” he said.